The probability of tires to slip increases when the tractor is light and is operating on hard ground. It reduces the performance, which cause increases diesel consumption. Experiments show that proper tire grip on the surface, tractor performance increases by 10 to 25 percent. To increase the surface grip in the rear tires, filling water in the tires is recommended. 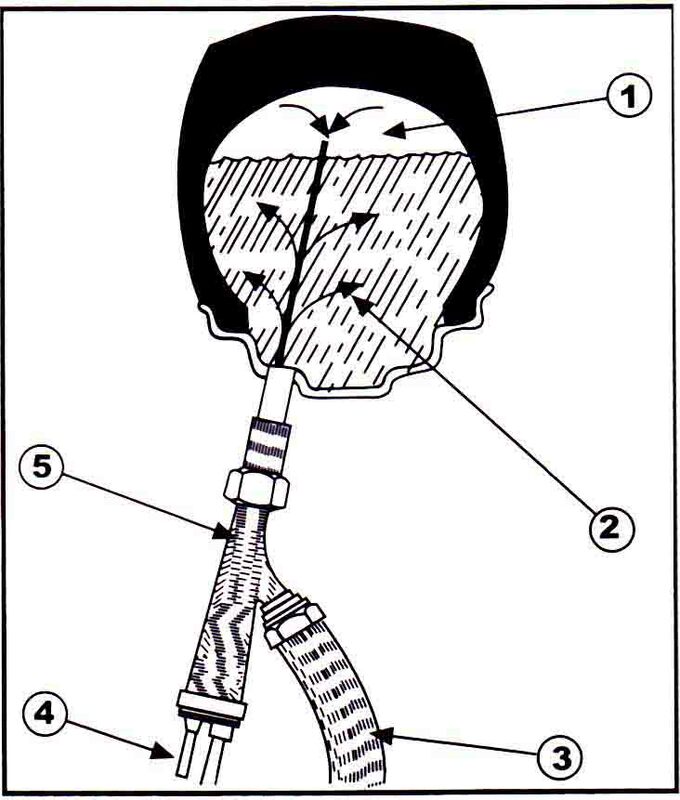 Below is the method to fill water in the tires with a simple instrument. Raise the rear tires with the help of the jack, and raise the inflation valve to its highest position. Remove the inflation valve from the tube’s nozzle and let the entire air out. Now mount the water filling nut on the tube’s nozzle. 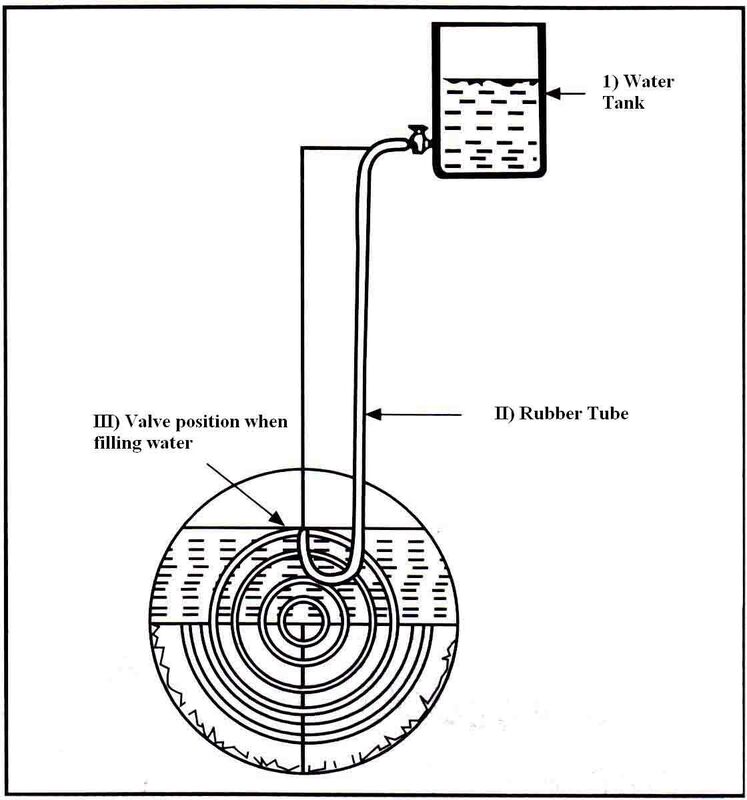 Connect the water filling tube to the tank as shown in the diagram. The water tank should be at least 5 feet above the instrument. Open the tank’s valve so water could flow in the tire’s tube. Close the tank’s valve when the water starts to flow out the air pipe. Detach the water filling instrument from the tire-tube and let the extra water flow out of it. After the extra water is drained, place the inflation valve on the tube’s nozzle. Inflate the tire to 12 – 14 psi. In places where temperature falls to freezing point or below, NEVER water in the tires or mix Calcium Chloride in the water to fill in the tires. Fill water in the tire at a place where there is a facility to inflate the tire with air too. If water filled tires need to removed, then remove the water first and then remove the tire from the tyre first and than remove the tyre from the tractor. Otherise the heavy tyre will damage stud threads used to fasten the wheels.